Follow Cycladia in a journey throughout Greece and find the perfect place to practise your favourite extreme sport. 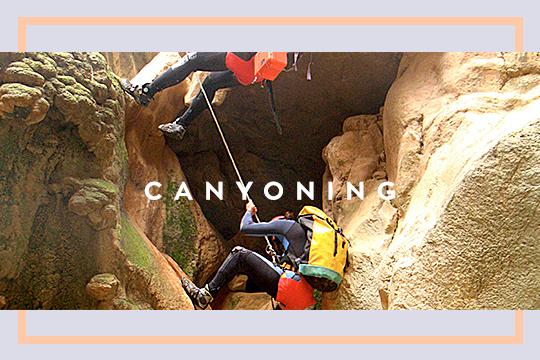 Canyoning is one of the sports that successfully combines various activities such as walking, climbing, river passing and swimming. Greece is full of canyons so you only need to pick one and rest assured that the place would be fantastic! The best best period for canyoning is from April till October and the best places are Tsoutsouros, Kavousio, Cha and Arvi Canyons in Crete, Karpenisi in Evritania and Tzoumerka Mountains in Epirus. The ideal sport for those who love rivers and water-related adrenaline. 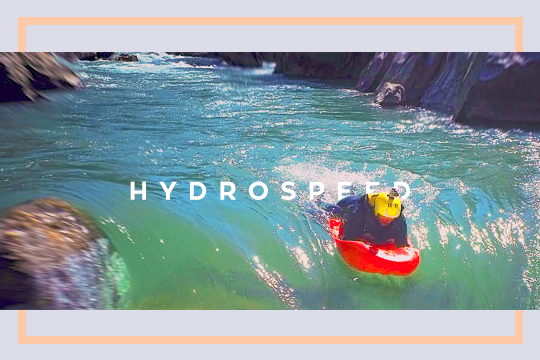 Hydrospeed is a mix of rafting and hot dog kayak that makes adrenaline hit the ceiling! The best period to try hydrospeed is between March and June and you can have a taste at Evinos (Aetoloakarnania), Voidomatis (Epirus – Zagorohoria)and Lousios-Alfios Rivers (Central Peloponnese). ..which is exactly what’s its name describes: surfing with a paddle. 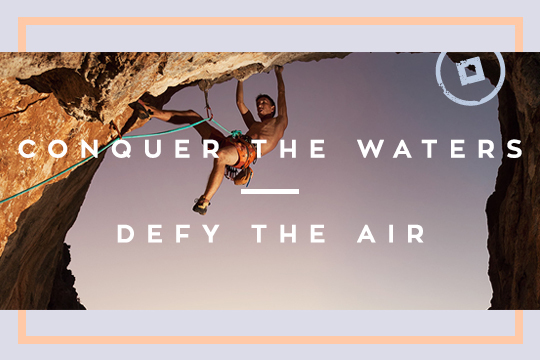 While in speed, you can conquer the waters, defy the waves and feel the energy of the Greek seas covering your body. 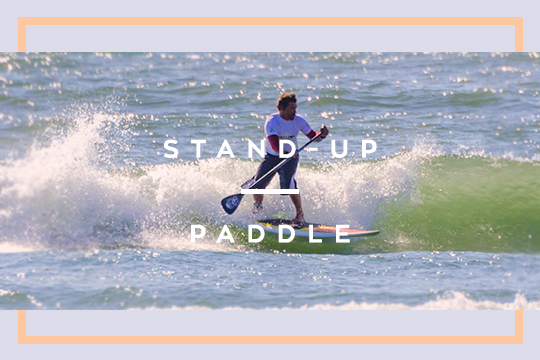 Since Greece is renowned for its amazing waters, you can enjoy stand-up paddle almost anywhere given the wind that blows is enough, and throughout the year. A few good places are: Corinthian Isthmus, Loutsa (Eastern Attica) and Andros (Cyclades). Kite surfing or kite boarding is also one of those extreme sports that combine various other sports, such as wakeboarding, windsurfing, surfing, paragliding and, of course, lots of physical exercise. 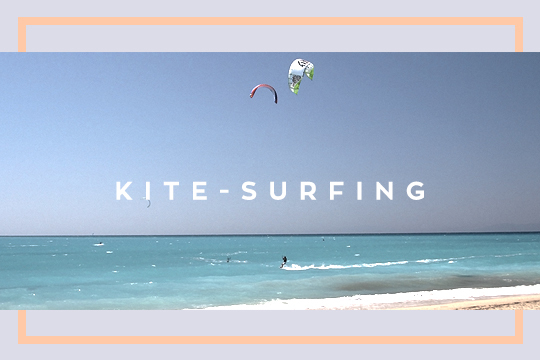 Like Stand-Up Paddle, kite-surfing can be practised almost anytime and anywhere (Greek waters are just prefect for this sports too! We would definitely suggest, though Loutsa (Eastern Attica), Chalkoutsi (near Chalkida), Drepano (Rio, Achaia), Lefkada & Corfu (Ionian Sea), Naxos (Cyclades), Lesvos (north-western Aegean)and Rhodes (Dodecanese). Are you ready to dive into the void? One of the most energetic extreme sports that is truly… extreme! It just takes some courage and lots of will to let yourself in the hands of a… rope. 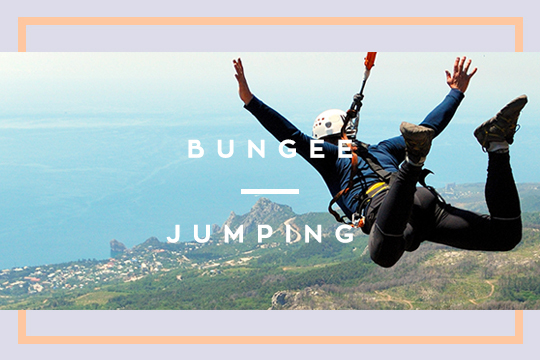 Best period is the summertime for everyday extremity; however you can go for bungee jumping during the weekends in wintertime too. Best places for action are the Corinthian Isthmus and the Bridge of Chalkida. How would it be if you could crawl through the mountain ancient holes deep into the earth to meet nature at its most primitive? 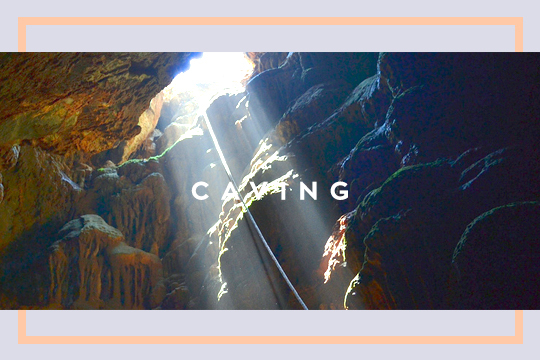 The wild scenery, the feeling of being lost in the depths of the ground and the escape from any sign of civilization and sunlight make caving far the most unique and original sport. You can pretend you are one of the heroes of Julius Vern all year round, just get ready to crawl down Tripa Peristeriou in Kozani, Vrontou Gulch in Mount Olympus, Routsi Cave in Larissa and Arkoudospilia in Kavala. During the summer, the Cave of Antiparos in Cyclades offers you a thrilling journey… right to the core of the earth. Biking is definitely a great experience either it just serves as good physical exercise or even a proper way of living. When this is combined to the wild nature of Greek offering both smooth itineraries within the beautiful untouched ambience and hard races for adrenaline fanatics, mountain biking is the least one can do even while on holiday. 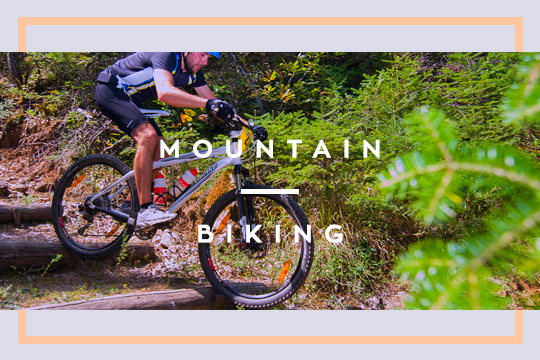 Mountain biking is ideal during spring and autumn due to the good weather conditions (not too cold and rainy nor hot) while Antiparos & Naxos (Cyclades), Crete, Zalongos (Epirus), Nafpaktos (across Patras), Karpenisi (Evritania), Pavliani (Fthiotida), Prespes lakes, Karditsa (Thessalia) and Pindos sierra (Epirus covers Trikala & Ioannina)are only some of the places that host and organize races in Greece. Are your adrenaline levers already high? Then get ready, book your trip and go for it if you dare! This entry was posted in Andros, Corfu, Corinth, Crete, Culture, Destinations, Extreme Sports, Hotspot, Lefkada, Lesvos, Naxos, Rhodes Island, Sport Activities, Tourism Insight. Bookmark the permalink.